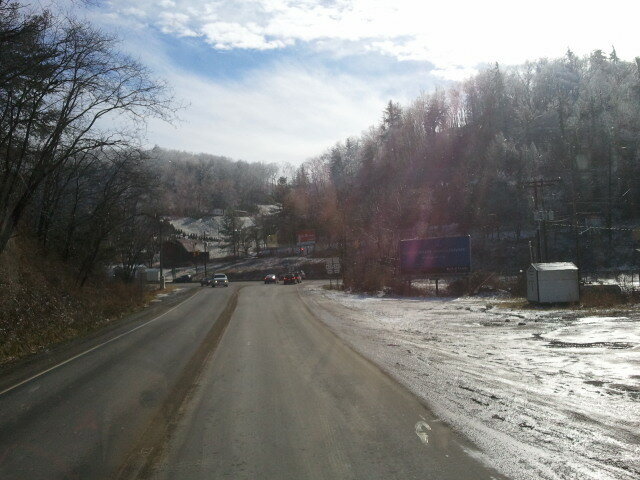 I had already talked to my wife since she works in Boone and the roads were clear! Hope all have a Happy new years!!!!!!!!!! You are a cruel, cruel man! Now I'm homesick again. 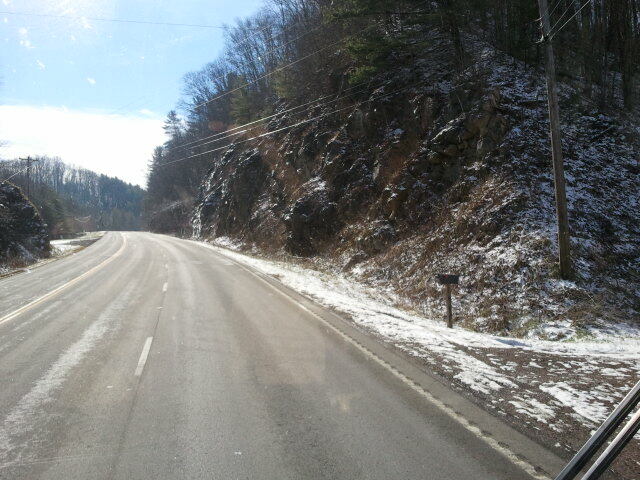 Miss the mountains... just not the snow. We have similar temps here in Roswell, just not as much snow. Glad to see you got the skoolie out. I am still trying to think of a reason to take Farold for a run. He looks lonely sitting there all snow covered. Any running lights burnt out?you know you'd have to take it to parts store next town over,to correctly match them right? No running lights burnt out, lol. However, I did have to go get some cigarettes . We drive about 15 miles away to pick them up at about half the price as in town. So... I took Farold . I took a few pics on the way but it was already getting dark and they turned out pretty crappy. Between 3:30 AM & 8AM, the wet roads here froze up. It was warmer when I left for work than it was when I got off. Oh and it snowed, sleeted & rained last night. Sent my daughter (the RVing one) a link to the pics here. She e-mailed me a message for you. You have no idea... We've been out here far too long. At least we did what we had said for years that we would do (go visit "out west").